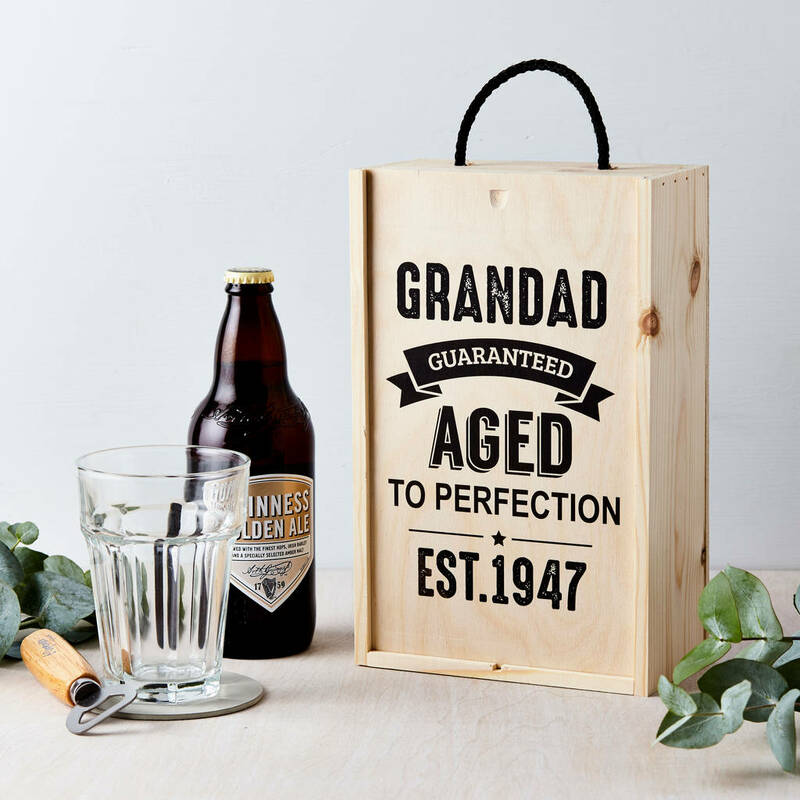 Celebrate that special milestone, with our personalised birthday year, vintage style wooden beer box. A great keepsake birthday gift to celebrate special birthdays. This personalised vintage style wooden beer box, will make a lovely personalised gift for special frends and family, which they can use to store their favourite beers. A great gift for your dad, brother, grandad or favourite uncle. Personalise with the name and established year of your choice. Birch wood box with sliding lid and black rope handle. Just the right size to store 2 bottle of beer. This product is dispatched to you by Tillie Mint Loves.